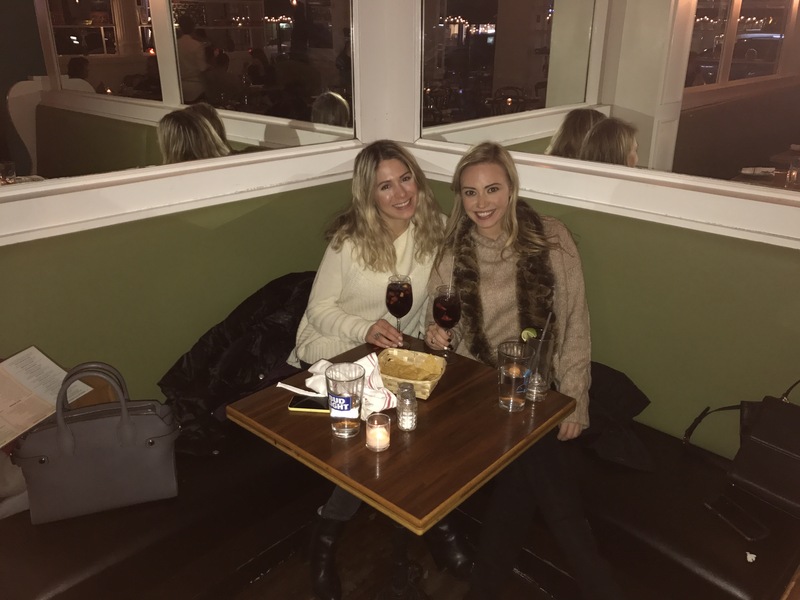 Christine and I originally wanted to pop into one of our favorite restaurants on the Upper West Side, Bin 71. We were so disappointed when we couldn’t get in! This wasn’t too surprising, considering it’s so tiny and has limited seating. 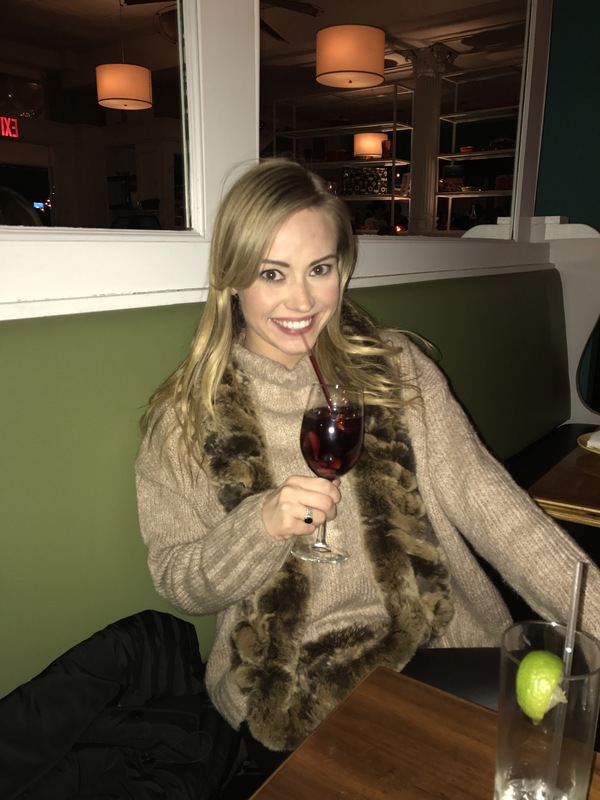 It’s adorable, though and definitely a great date spot if you and your significant (or not-so-significant, whatever) other like good wine and hearty dishes. It also a great place for a low-key girl’s night, hence why we headed that way. Not being able to get in was so sad as I was looking forward to it all day! After wandering around in the cold for a while, we randomly ended up at A.G. Kitchen, near the intersection of 73rd and Columbus. From the colors and decorations to the size of the space, this place has a ton of character. I couldn’t believe how big it was! We sat in the dining room, but it also has a bar area with booths and a front porch! The funky bright colors, specifically the green booths and yellow accents on the walls, are what really made the place stand out. A.G. Kitchen is a Latin American restaurant and the head chef, Alex Garcia, specializes in the “nuevo latin cooking movement”. The food is really incredible! The menu has a lot of traditional Latin dishes, but it also has some standard American and Mexican plates as well. We opted for the burgers because they sounded absolutely mouth-watering and are among the most popular dinner choices. 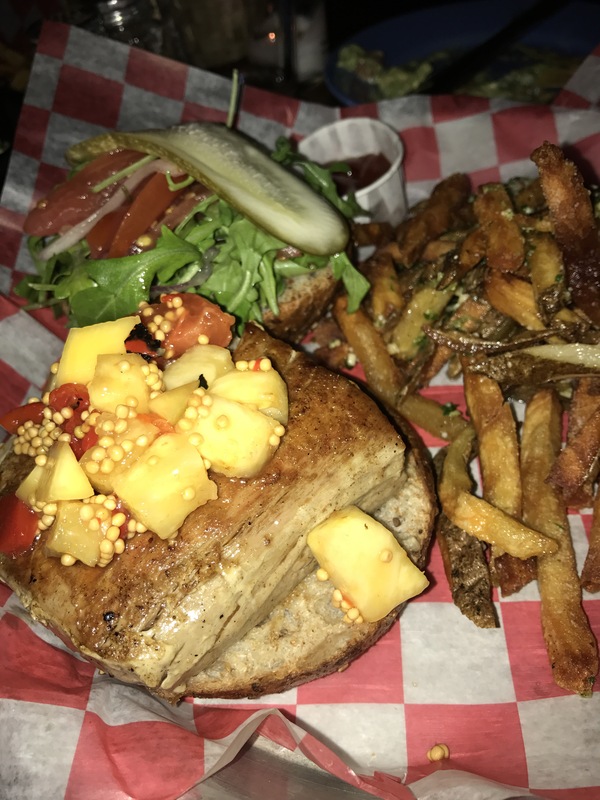 I ended up getting the ‘Maui Waui’ burger which was a tuna steak burger topped with arugula, pineapple relish, and spicy mayo. TO. DIE. FOR. It was juicy (to the point where it was pretty messy because it was falling apart) and it was utterly delicious. I really enjoyed the pineapples on top. They made for a unique sweet twist to a savory meal. 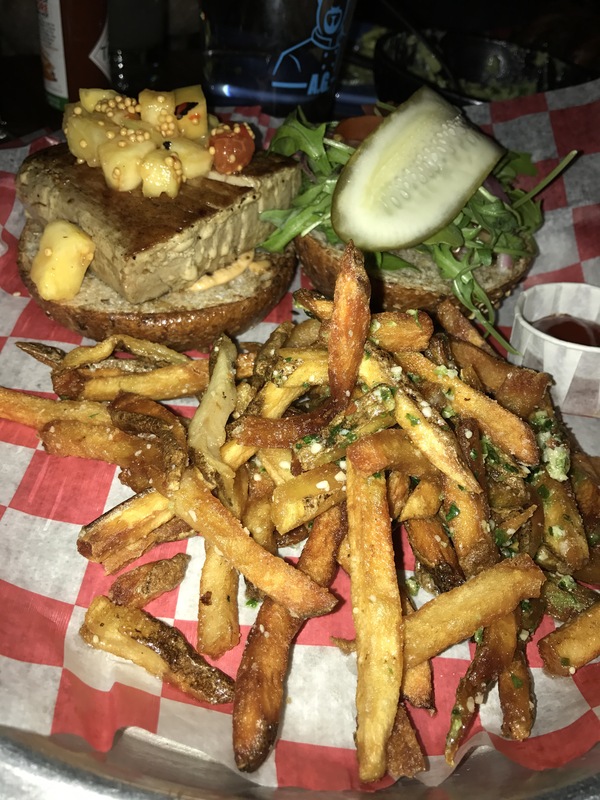 Christine got the ‘Juiciest Lucy Inside Out’ burger. I didn’t try it, but it looked amazing. Just check out the pics below! 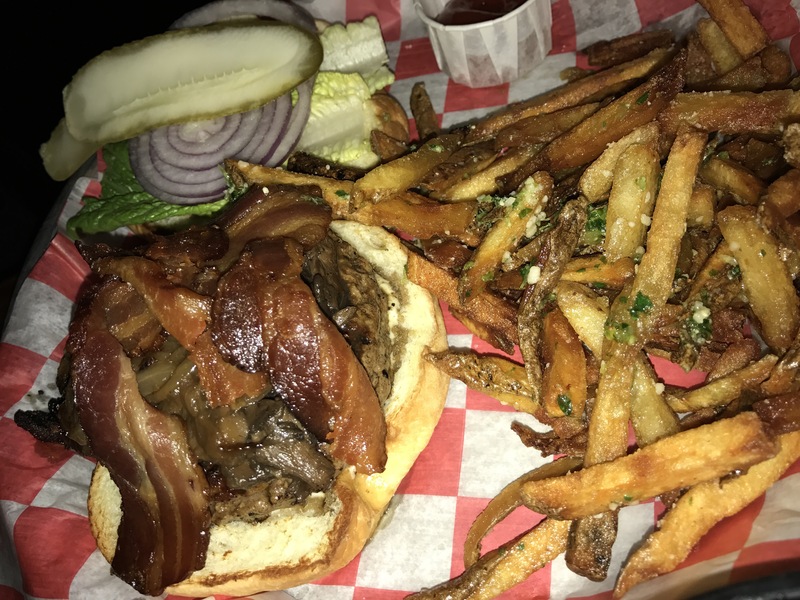 It’s a beef burger topped with bacon, cheddar, onions and mushrooms. And how great do those fries look?! They’re called “Hollywood Fries” and have herbs and parmesan sprinkled on top of them. We washed down these heavenly burgers with some cocktails and sangria, all of which were SO strong (thank God it was a Thursday!!) I recommend the ‘Strawberry Fields’. There are tons of restaurants on the Upper West Side, but the neighborhood is slightly unchartered territory for me. I’m glad that we ended up somewhere totally new. We didn’t even look up the reviews! After checking the menu and simply seeing it was crowded, we ventured in! You can tell that A.G. Kitchen does a mean brunch, so I’d love to go back sometime soon to get my brunch fix! 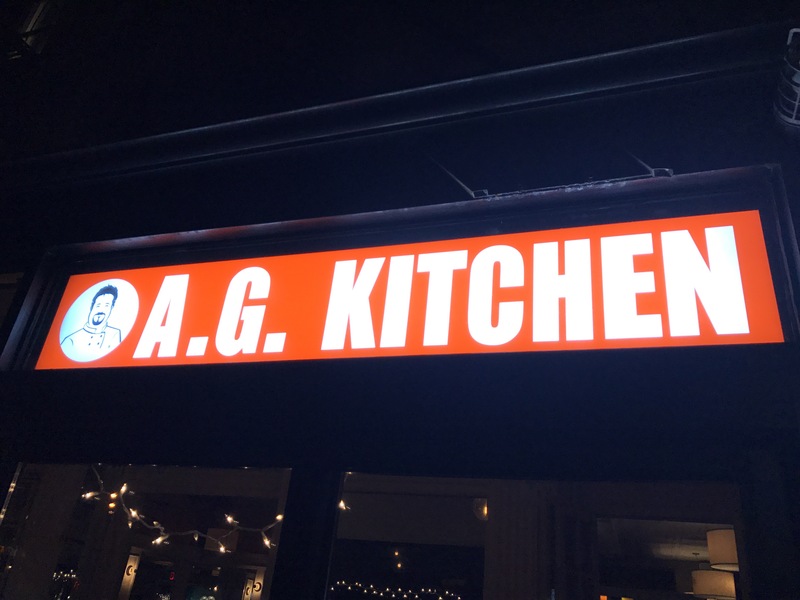 Not sold on A.G Kitchen? Here are some other options nearby. Try: Playa Betty’s for amazing Mexican (great queso! 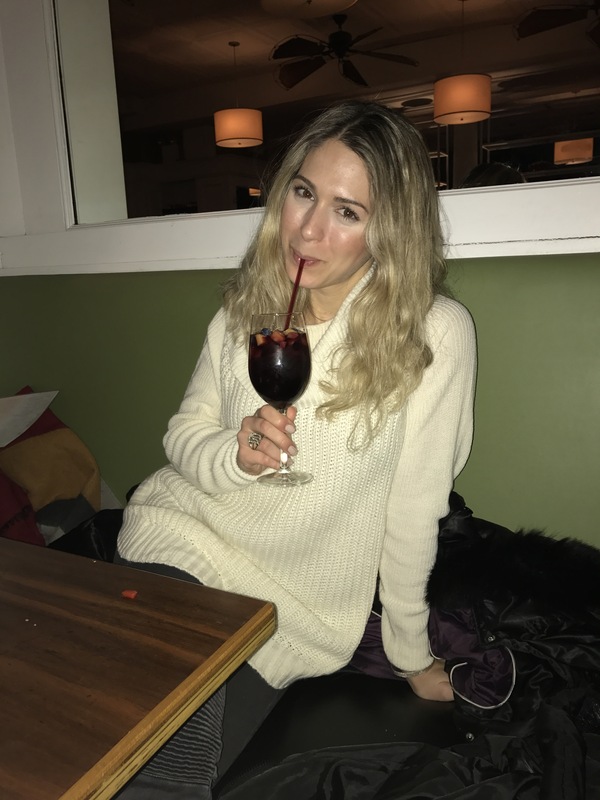 ), Parm for Italian (see my review from the Nolita location here), and El Mitote for half priced margaritas after 10 PM!